يقع Travelodge Hotel Wellington في منطقة مشهورة للغاية في المدينة. هذا الفندق هو من الخيارات الشائع بين المسافرين. لا يبعد الفندق كثيراً عن مركز المدينة، فهو يقع على بعد 1. Km منها. في حين يستغرق الطريق منها إلى المطار حوالي 25 دقيقة. إن سهولة الوصول من الفندق إلى المعالم السياحية الشهيرة الكثيرة في المدينة هو استثنائي بحد ذاته. 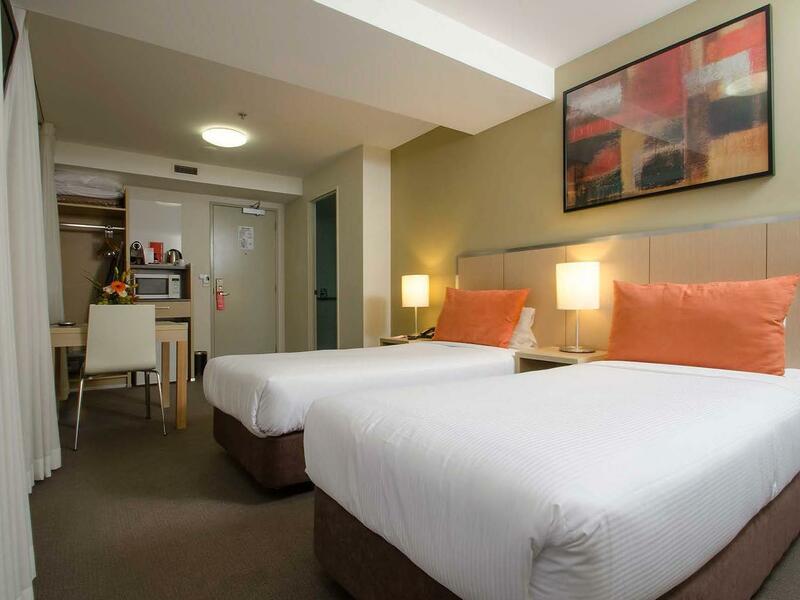 كما يقدم Travelodge Hotel Wellington الكثير من الخدمات لإغناء رحلتك في المدينة. تتضمن الميزات الرئيسية في هذا الفندق: مرافق مخصصة لذوي الاحتياجات الخاصة, واي فاي في المناطق العامة, صف السيارات, خدمة الغرف, مطعم. تتضمن كل غرف النزلاء وسائل الراحة والتسلية المصممة خصيصاً لضمان الراحة القصوى للضيوف. يقدم الفندق مجموعة واسعة من وسائل الراحة المتنوعة، كمثل: مركز للياقة البدنية. إن Travelodge Hotel Wellington هو مكان مثالي للمسافرين الذين يتطلعون إلى الراحة والاستجمام في المدينة. With easy access to Central district it is very prominently placed. Parking is bit difficult with too many sharing of lots with different companies. Room size and orientation too cramped. Staff were very helpful. Breakfast was good. Very short drive to ferry terminal. Good location, easy to drive into and enter the hotel from the adjoining multi-storey where you can park. Staff were really friendly and pointed out a better parking option for us as we arrived quite late. Also easy 10 min drive to the ferry the following morning. Easy walk to bars and restaurants. Nice sized room. Definitely recommend it. Stayed 2 nights in Travelodge. The room is quite small and we can hear the voice of people laughing from the bar below the hotel (We stayed on the 11th floor). Overnight parking is $28 per night. 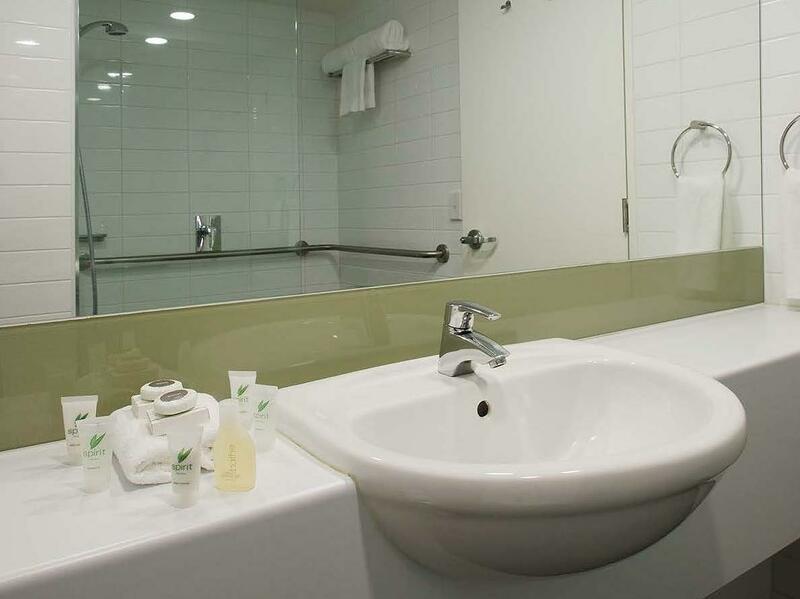 However, this hotel is located within Wellington CBD and 7 mins walking distance to the Wellington Cable Car. Good value for money as well. Lots of good restaurants around the hotel. The staff are also very friendly and helpful. over all we love to stay here, the staff at reception very helpful and they also recommend us a popular restaurant, and the food is awesome. But for the first we come, we hard to find the entering door. I have stayed here a few times on business trips. It must have been during a time when it wasn't too hot because on this trip with my husband we discovered that not only is there no air con, there isn't very good airflow so it's quite hot and the late night bar crowd prevented us from getting a decent sleep. The room was tidy, the hotel is in a good location, but unfortunately we will likely stay somewhere else next time. The hotel was in good location, almost city centre. The parking charged by hotel per night was more expensive than normal indoor parking lots (Wilson) so better park there. The amenities are okay, nothing bad nothing good. If you want to stay in City Centre then this hotel is good. Excellent location right downtown; stayed on high floor with nice view. Room quiet and clean. The breakfast offered (for an extra charge) as open buffet with continental or full options, and is very good. The location is great, and in case the higher level rooms are taken, there is a great view of the ocean and harbour. Staff are very friendly and helpful. I would come back here again for any upcoming trip. A very different experience to the last time I stayed at the hotel. Last time I left thinking that I had found the hotel in Wellington that I was always use. Unfortunately this time was a less pleasant experience. The hotel is general very good, clean, quiet and great staff, this time however there were two things that spoiled my trip. Firstly the bed was made of two parts (common in big hotels) unfortunately they were at slightly different heights which meant an uncomfortable night. Secondly the room was not made up during our stay so the bed was unmade for the second night. Not a disaster but one of those things you expect when paying the price I paid. Overall, was OK, but some things could be done to improve the atmosphere of the place, including have more competent staff working there and also reducing the volume of the music blasting out in the hotel. I have been to Wellington any times over the years and often said I could never find a quiet hotel to stay at. Well I should have tried Travel lodge earlier. 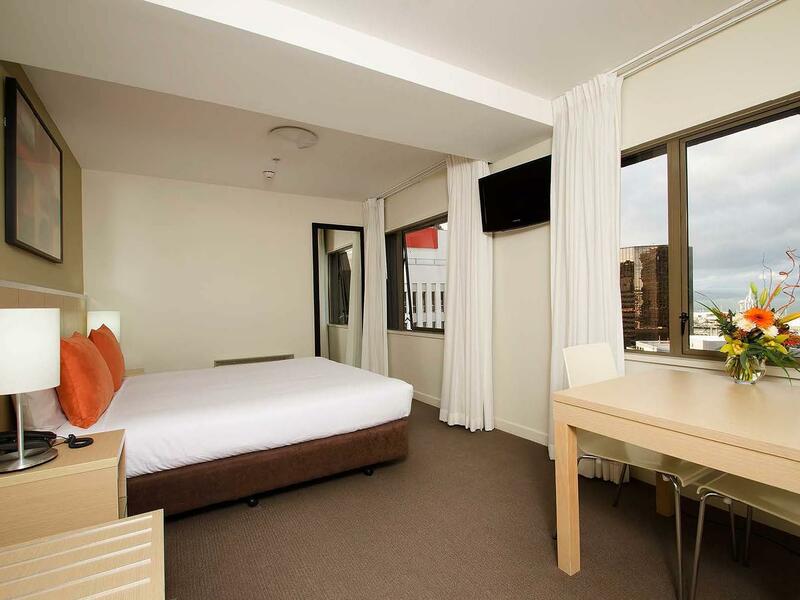 Easy and early check in, great comfortable room and bed (King sized), very fast lift and close to everything in the CBD. Check in was all quick and easy at Travelodge with the friendly staff. The room was a bit cool, but it was middle of winter. Good NZ hot water system in the bathroom. The view from the room was nice over the city and through to the harbour. The rooms at Travelodge are quite small, but ok for an overnight stay. Everything is included that one person needs. Everything was very good except there was no free WiFi, it was available for a fee. We became very good patrons of a nearby café/bakery which provided excellent free WiFi and very good coffee and eats. 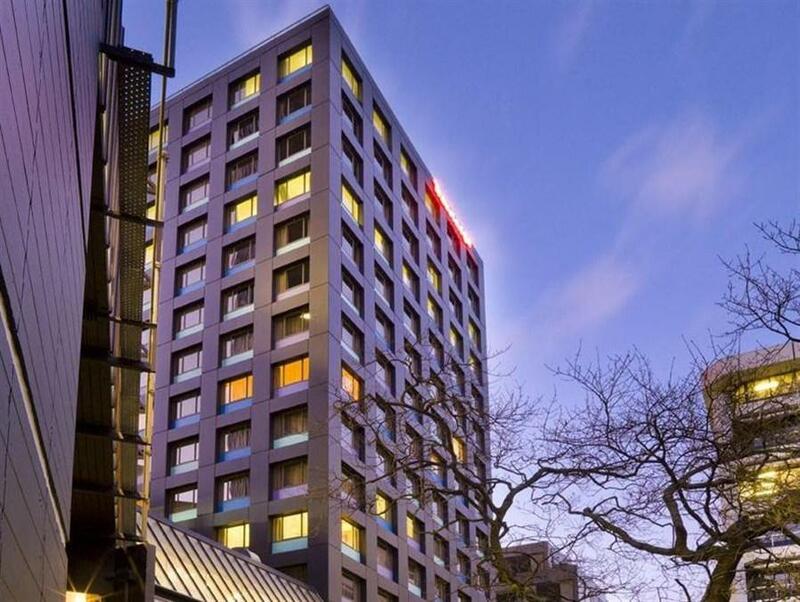 Location is fantastic, however, first timers to Wellington and to the hotel would have difficult time finding the shortcut to the hotel from Lambton Quay. Otherwise, it is a hotel that has great value for money. room price, location and near to tourist attractions. It was a pleasant stay for 4 nights. Centrally located in the CBD area in Wellington. A reasonable pricing room - do not expect 5 stars amenities. Only downside is the pricey internet. Hotel claimed that it is a norm for other hotels too. I don't think so though. Also, do remember to check the items at the mini bar after you checked into your room for the 1st time. But overall, it is a no frills hotel. Highly recommended for travellers who just need a room. A pleasant stay, with assistance from staff, that made exploration of Wellington city enjoyable. Its location near base of cable car to botanic gardens, and easy walk each direction (10 mins) to railway station, harbour and shops / food, made this comfortable hotel a logical choice. A top place to stay, rooms were clean, modern. Perfect location for seeing Wellington. You walk straight out onto main shopping street, only 2 mins walk to Wellington cable car. Cuba street with good food only 10 mins walk and waterfront only 5 minutes walk. Staff were very friendly. 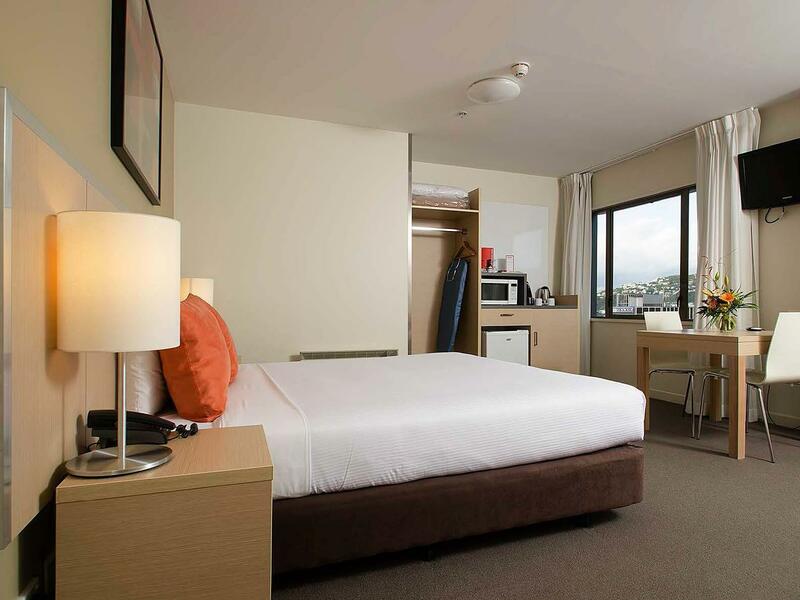 Hotel in perfect for a couple for a short stay in Wellington. You cannot beat the value for money. Central to attractions - 2 minutes from cable car, 5 mins from waterfront, 10 minutes from Cuba Street. You walk straight out onto main shopping street. If you manage to get a room on top floor can also get pretty cool views of the city.